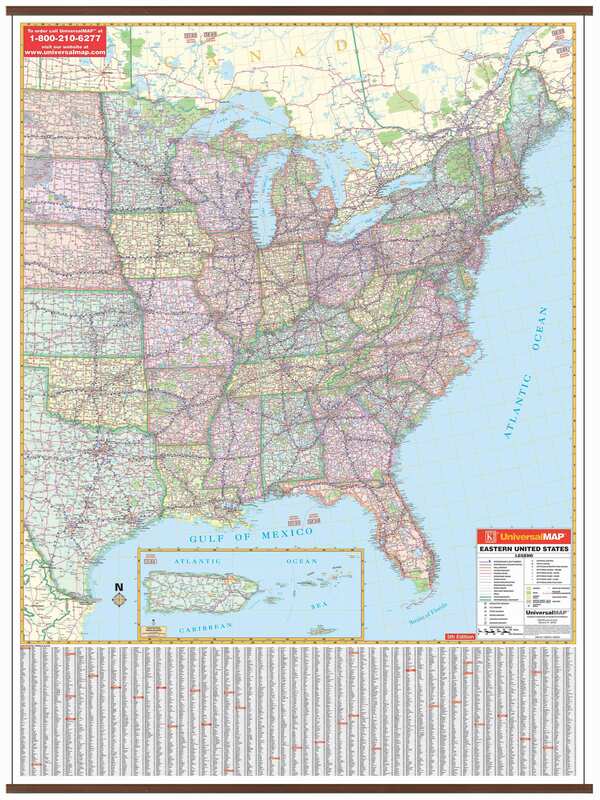 The 5th edition wall map of the Eastern United States by Kappa Map Group measures 49″ W x 66″ H. Contains a laminated surface that is both markable and washable. 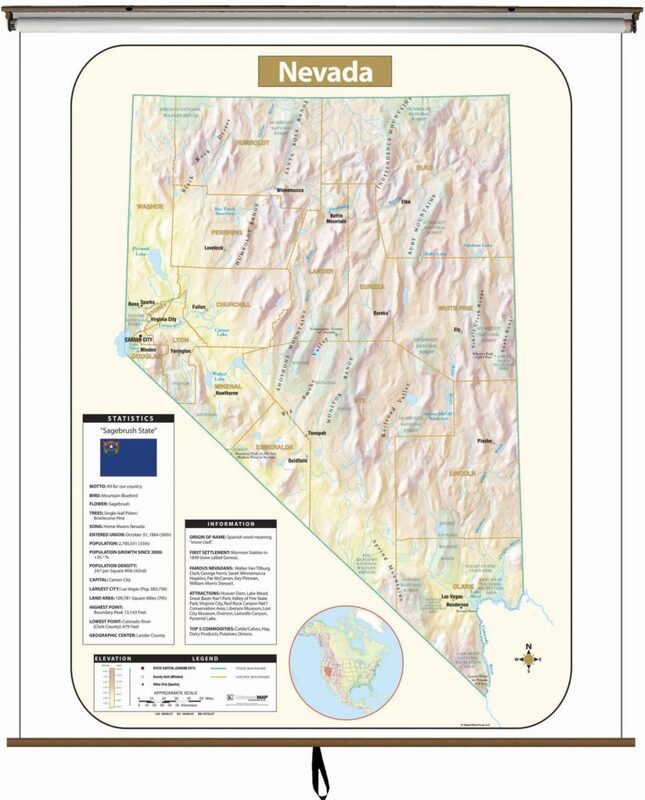 Mounted on framing rails and is indexed on the face of the map. 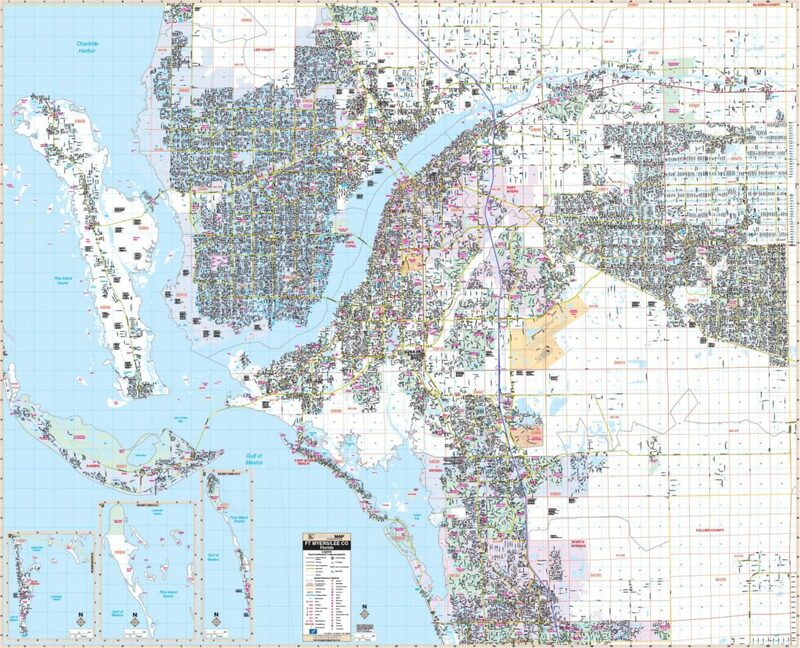 Details include all state and interstate highways, freeways, rivers and lakes, national forests, mountain ranges, cities and towns, state lines, time zones, and longitude/latitude lines. Area of coverage: Alabama, Arkansas, Connecticut, Delaware, Florida, Georgia, Illinois, Indiana, Iowa, Kentucky, Louisiana, Maine, Maryland, Massachusetts, Michigan, Minnesota, Mississippi, Missouri, New Hampshire, New Jersey, New York, Ohio, Pennsylvania, Rhode Island, North Carolina, South Carolina, Tennessee, Vermont, Virginia, West Virginia, and Wisconsin. There is 80% coverage of Kansas, Nebraska, North Dakota, Oklahoma, South Dakota, and Texas. 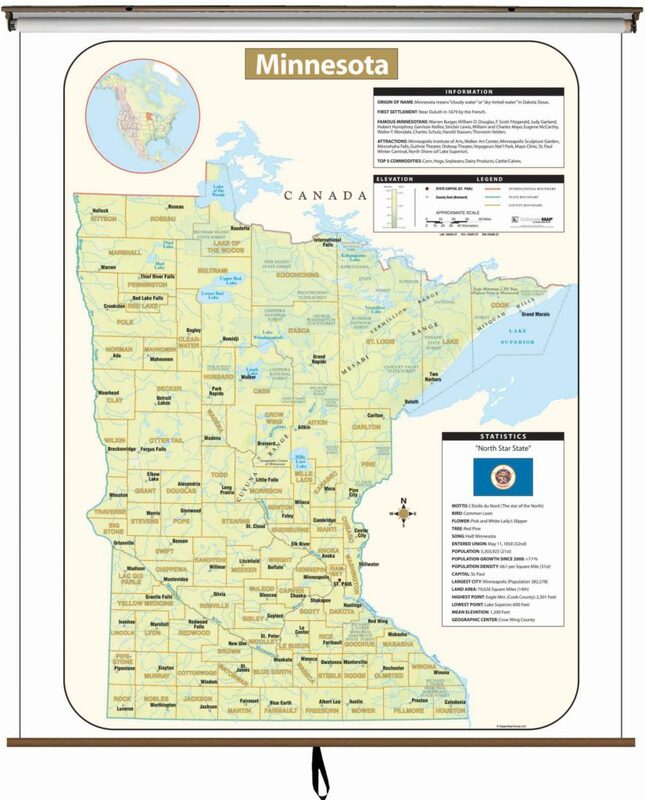 Boundaries are as follows: North: Winnipeg, Manitoba, to New Brunswick in Canada; South: to the Gulf of Mexico; East: to the Atlantic Ocean and western New Brunswick; West: Western ND to western Texas—including city of Abilene. Includes inset of Puerto Rico.